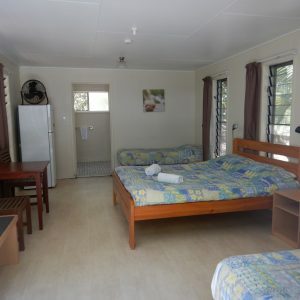 4 Guests	1 Queen Bed + 2 Single	40 sq.m. 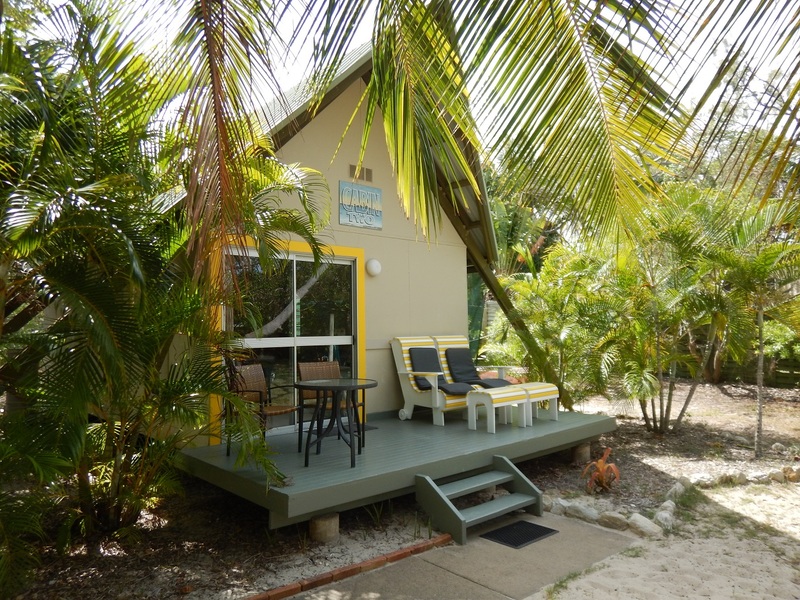 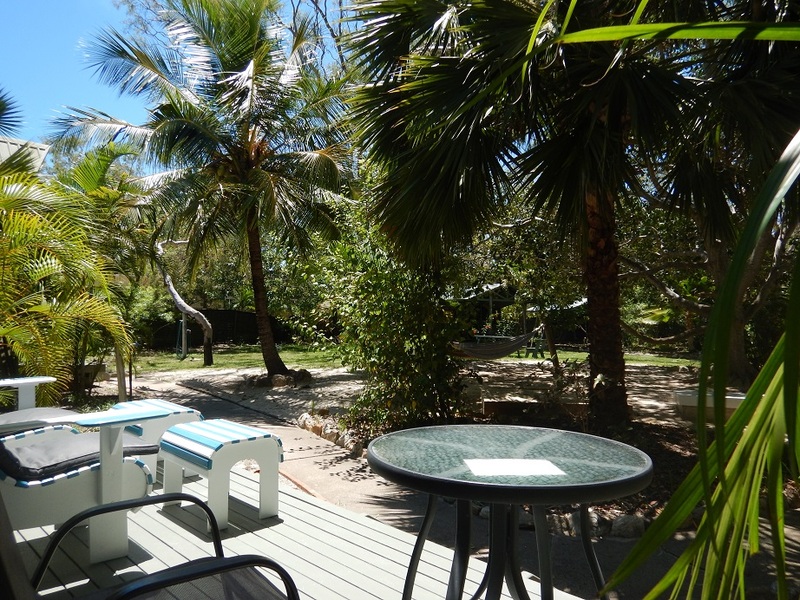 Our cabins are great to enjoy your stay on Great Keppel Island. 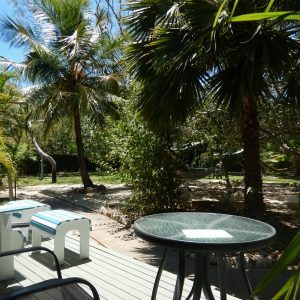 They are naturally lit, airy, and spacious. 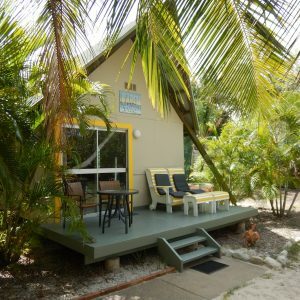 Ideal for couples, but can also accommodate up to four people with one queen bed and two single beds. 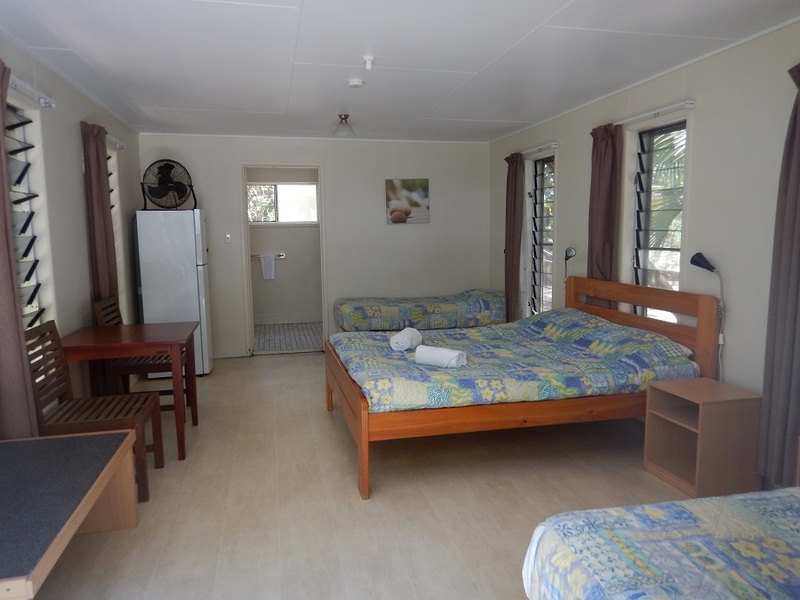 Each cabin has a refrigerator, fan, private amenities, lounge, and both indoor and outdoor table and chairs.